There is nothing quite like the frenetic and fleeting seasonality of the upper Midwest to inspire a soulful cook. 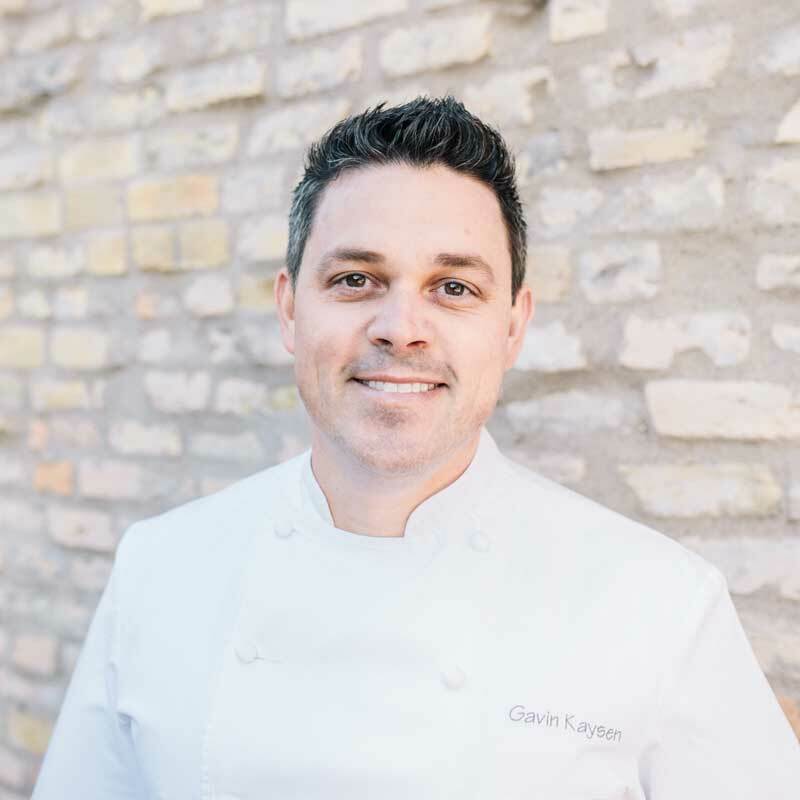 For Chef Gavin Kaysen, an old soul at heart, this idea beckoned him back home to Minneapolis to open Spoon and Stable, a 2015 James Beard Award Finalist for Best New Restaurant, in the North Loop neighborhood in fall 2014. Further planting his roots in Minnesota in early 2017, he opened French-inspired bistro, Bellecour, in Wayzata, MN. His second restaurant is a nod to his friends and mentors, Chefs Daniel Boulud and the late Paul Bocuse, and their time spent together in Lyon, France. “Cooking is very emotional for me; I have to cook how I feel,” Kaysen says. “There’s something to be said for how you feel emotionally as one season gives way to the next, when it snows, rains, or is sunny. I never thought about that growing up here, but coming back, I see that now.” Most recently, in February 2019, he opened Demi, an intimate, ambitious 20-seat tasting menu experience. The chef refined his dexterity in contemporary American fine dining by dedicating time to some of the world’s best restaurants. After graduating in 2001 from the New England Culinary Institute in Montpelier, VT, Kaysen worked at Domaine Chandon in Yountville, CA; L’Auberge de Lavaux in Lausanne, Switzerland; and the famed L’Escargot in London, before becoming executive chef at El Bizcocho in San Diego, where he was named one of Food & Wine magazine’s Best New Chefs. In late 2007, he joined Chef Daniel Boulud as chef de cuisine of Café Boulud in New York City, where he later earned the James Beard Rising Star Chef award and a coveted Michelin star. While there, he discovered so much more than tangible, technical skills. “It was like getting my master’s and PhD with Daniel and his organization,” he explains. “I learned so much about hospitality, about the business, cooking—but more importantly, I learned a lot about soulful food. When he cooks, it’s all about spontaneity, which I have discovered is how I really thrive, too.” In 2018, Kaysen took home the James Beard Best Chef: Midwest award. Kaysen lives in Minneapolis with his wife and two sons. In his spare time, he tends to the strawberries, peppers, zucchini, cilantro, basil, thyme, rosemary, and tomatoes growing in his home garden.